Hello There and Happy Saturday! It feels like ages since my last post. I hoped to update the blog sooner, but with coordinating three all-day sales meetings and making arrangements for international guests, there wasn’t any extra time to get anything done this week. Step 3 in the “Spring Clean Your Life” series is the pantry (or the “black hole” as I sometimes refer to it)! In general, I think it’s a good idea to stay on top of your pantry; but you should plan to give it a total overhaul at least once a year. Below are some tips for giving your pantry a thorough spring cleaning. The best way to ensure a thorough cleaning is to take stock of everything you have in your pantry. That means you should remove every item from the shelves. I would recommend placing all items in one highly visible area like your dining table so that you can easily assess and organize everything you have. Inspect your Pantry Inventory & Be RUTHLESS! If there’s one thing you don’t want to take a risk with it’s what you ingest. If anything is past its expiration date, it clearly needs to be tossed. What if there’s no expiration date? Check out this fantastic guide on the shelf life of pantry foods from About.com Frugal Living. Inspect dried goods (rice, pasta, etc) for any pest infestations–gross, I know, but if you store dried bulk goods in glass or plastic containers, it’s a smart precaution to take. Take inventory of your pantry items and place similar items together in a row. Label rows with post-its (e.g. canned goods, baking ingredients, grains, etc). Take advantage of your now-empty pantry shelves and wipe them down with a damp cloth. We all have our own organization methods that best suit our individual needs and habits. Envision your ideal method of organization (A lazy Susan for spices? Baskets for teas? Glass Mason jars for dried goods? Wire baskets for fruits?) and make it happen! I would advise against storing bulk items in plastic containers in favor of glass, but if you’re set on plastic make sure it’s BPA-free. You’d be surprised at how cute you can make your pantry look on the cheap. Check out the following for stylish, yet cost-effective, storage items: Ikea, Target, Home Goods, TJ Maxx, your local dollar store. 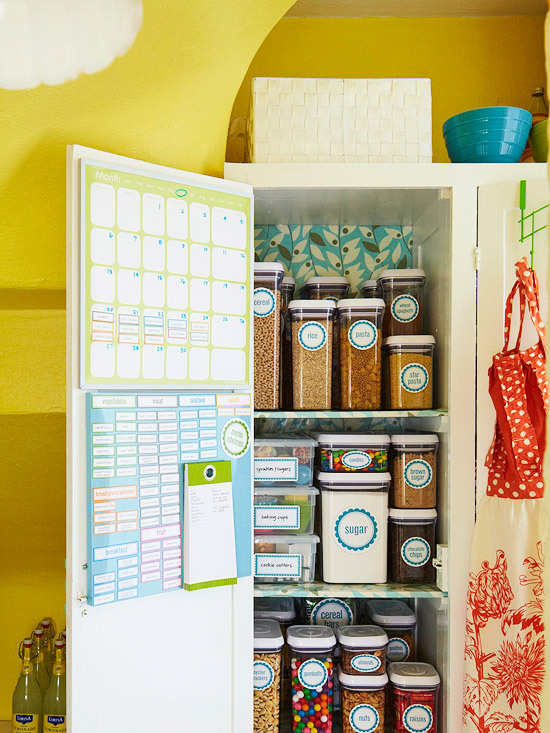 Website aggregating tools like Pinterest make it so easy to find free pantry printables. Take a look at my Pinterest page for some cute pantry labels. They’ll not only help you to visually organize your pantry, but they add a little brightness to an otherwise unexciting space. You can download a few of my favorites here, here, and here. Make life as easy on yourself as possible. Place the items that you use most often on the middle to eye-level shelves. Rarely used items should go on the top and bottom shelves. The newest items should always be stored behind the older items in your pantry in an effort to consume items within their sell-by dates. Be cautious not to overcrowd your shelves (it increases the likelihood of accidental spillage) or to overburden them with heavy items. Anything heavy should be placed on the floor. It’s a shame not to take advantage of available space beneath your shelving if you have some. You might use this space to store larger bulk products like paper towels in large wicker baskets. Or, if you have enough height to work with, you could add a few plastic drawers to that space to corral less-used items (paper plates & utensils, etc). What you should not store in your pantry area, however, is cleaning supplies. Store these in an area where there’s no possibility for contamination, like under your kitchen sink. As you reorganize your pantry you will no doubt find that there are items that you need to replenish. Keep a pen and paper handy and scribble down items to purchase on your shopping list. I hope I’ve inspired you to revamp your pantry space! Got any additional tips? Leave me some feedback! Short on time? Check out this speed-clean your pantry checklist from Real Simple. Check out some adorable container storage options from The Container Store here. I’m excited to share a recent project of mine with all you fellow bloggers. 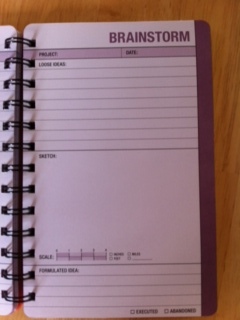 Last week I decided that I needed a better way to organize my thoughts and ideas for blog posts. Until recently, I had been scribbling my notes haphazardly in a pocket-size notebook. I realized I needed a better planning tool where I could fully flesh out and schedule my posts, compose to do lists, track social media promotion, etc. The inspiration for this project came Jen’s blog Iheartorganizing. 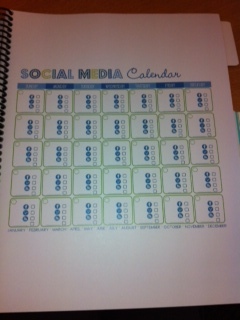 She created an adorable planner, which she posted on her blog here. 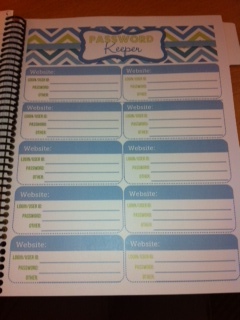 In fact, if you like her planner’s layout and design you can purchase the template on her Etsy website. I ultimately purchased my blog planning templates from another Etsy shop owner because I really liked her variety and color schemes. Please forgive the mediocre photos below–my camera has quit on me and I can only use my iPhone for the time being. Argh. 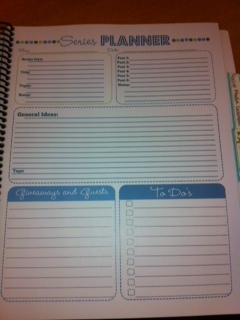 If you like the templates in my planner, you can find them at the Etsy shop Happy Organized Life. This is a non-editable instant download, but if you want templates that you can edit, there are many options on Etsy. 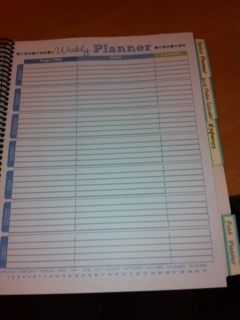 As you can see, my planner is a much more simplified version than Jen’s, but it has already helped me tremendously! 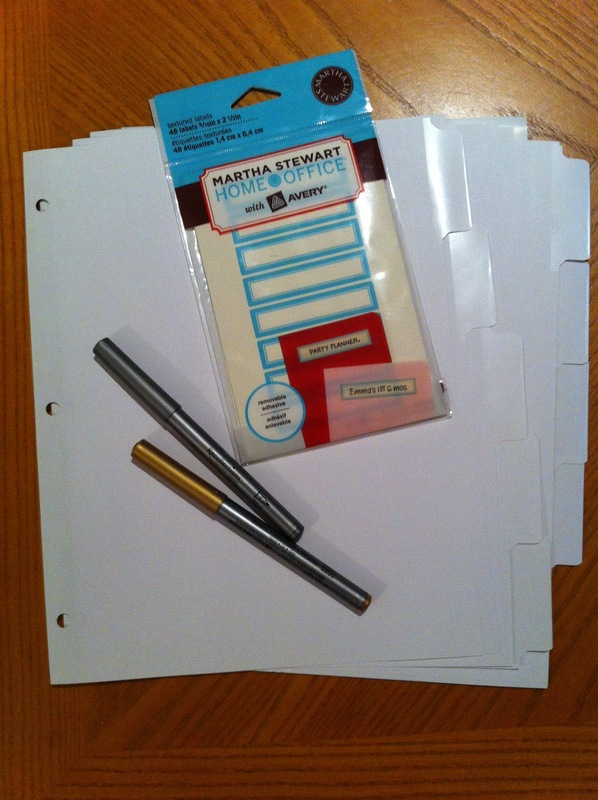 All you need to make something similar is divider tabs, labels (I love Martha Stewart’s, which you can find at your local Staples), and some cute pens. 2. Decide on a blog template design. If you’re someone with design skills you can of course create your own templates. If you’re less artistically inclined, like me, you can find some awesome templates on Etsy (both editable and non-editable depending on your needs). The one I downloaded from Happy Organized Life includes 12 (yes 12!) different sheets. I liked how comprehensive this downloadable package was. 3. 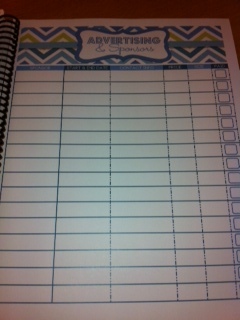 Print desired quantity of template sheets and determine order. 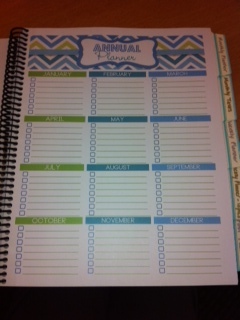 I decided to begin with an annual view, followed by monthly planning sheets, then weekly, etc. I included reference information (i.e. 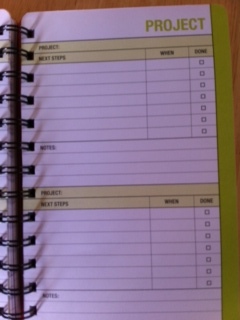 passwords, contacts, etc at the back of the planner). 3. 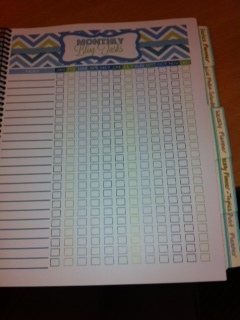 Divide each section using using divider tabs & assemble planner. And now for the fun part! 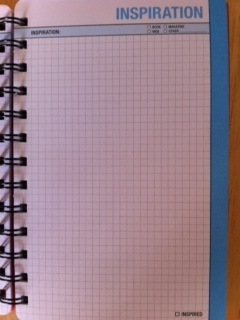 Label each section of your planner using your own creative flair. I love metallic pens, so I used silver and gold on my sky blue Martha Stewart labels. Let your own personality shine through! 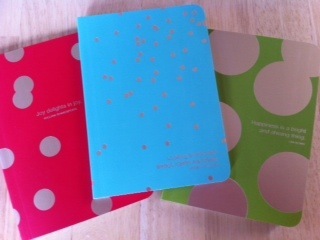 Once you have finished accessorizing your planner, you’re ready to switch into planning gear. 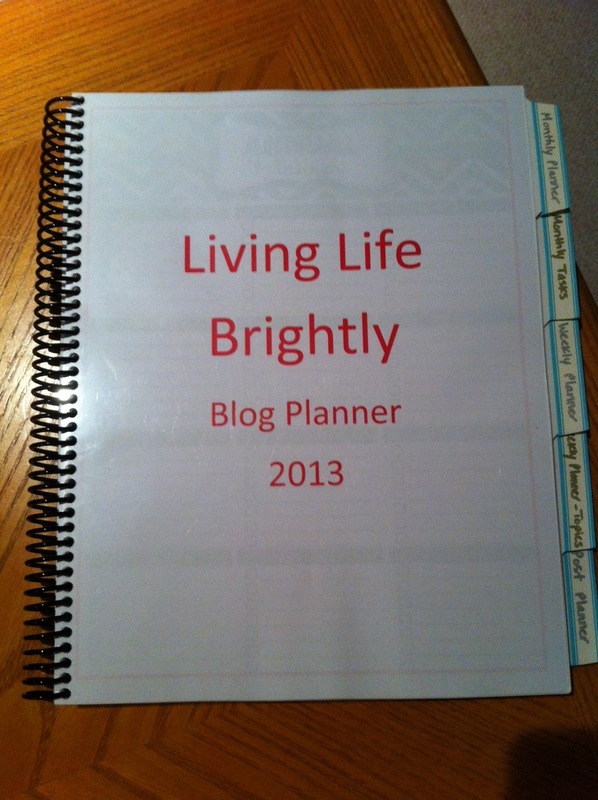 Have you come across any awesome blog planners or made one of your own? If so, please feel free to share!